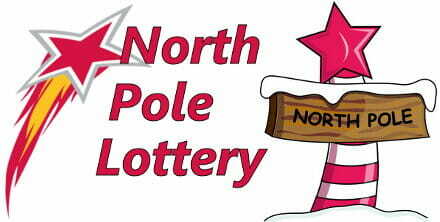 So we are playing the North Pole Lottery (what do you mean you’ve never heard of it..?). It’s a 6 balls from 49 draw, and is very popular with polar bears and arctic foxes. You can buy tickets with regular old cash, or trade with fresh fish at the local ticket outlets. It’s a once a week game drawn on a Saturday night. If you look at the results above, you can see 35 has been drawn every time for those last 3 draws. But 3 has not appeared at all. So, when picking my numbers for this week how should I treat numbers 35 and 3? Should I include or exclude them, or maybe include one but not the other, or something else — and more importantly why? There’s no real wrong answers at this stage, I want to know what you think. I’ll be adding my answer here in a couple of days time, and revealing Question 2. You don’t have to get the answers right to be eligible for the prizes. The winners will simply be picked at random from a list of everyone who answers ALL 3 of the quiz questions. All sensible attempts to answer will qualify (the meaning of sensible is left to the judgement of the official adjudicator, i.e. me) – single word answers, spam and nonsense will of course not qualify and be ignored/deleted. Just play nice and you could win. 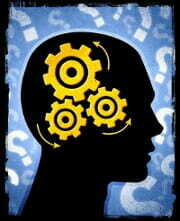 Now answer the question – and I’ll look forward to reading your answers. It was great reading all your answers to this question – it gave a very interesting insight into how you guys think about picking numbers. Thank you for playing along. I deliberately picked this question because I wanted to know if you saw lottery draws as just totally random events (as they are supposed to be – more on that in a moment), OR if you thought there was more going on than that. But some of you couldn’t help feeling that those past trends meant something. Although it was hard to agree on what they meant. Raymond said he would avoid 35 now because it’s “Probably a long-shot to expect 35 to crop up a 4th time”. Whereas Charley said he “would play 35 cause 3 is a long shot”. A few people felt there was a relationship between those numbers and started seeing 3’s everywhere. So would play 32 and 38 because it’s 35-3 and 35+3 (even though lots of other numbers hadn’t been drawn either, e.g. 1, 5, 6, 7, 8, 9, 10, 11 etc), and would also play 3 and 5 because those are the digits of 35. Or even 3, 23 and 33. Michael made an interesting point too saying “I would choose the 35 as it’s less likely to be a ‘sharer’ should you win the major prize”. All of which goes to show how much confusing advice there is on this topic, and how misleading our instincts can be when we start trying to organise numbers. It would be great if there was one single concrete answer to this, but there isn’t, because there’s just enough wiggle room to make it a bit more complicated than we’d like. The short answer is as James put it – “if the numbers are being drawn randomly in the first place, any previous results should have no bearing on future results”. In a perfectly random draw, each draw is a unique and completely separate event. Nothing that happened before has any relevance to what happens next. So the fact 35 has been drawn 3 times makes it no more likely AND no less likely to be drawn again. Mathematical fact. Because every number is equally likely every draw. That’s hard for our clever human brains to accept, because they see a pattern and a pattern has to mean something. Even when it doesn’t. Because we can build a lottery draw machine that’s really very good at what it does. But can we build a perfect one? One that truly always remains 100% totally unbiased? How many test draws prove it either way..? So why would 35 be drawn 3 times in a row? There are only two answers to that. It’s either totally random (and yes, random can do that and even more weird things) OR something is favoring that ball. Now it is possible for some kind of bias to exist. It’s likely to be very small if it exists at all. It could be a bias for or against certain numbers. And even if it exists it’s likely to change over time. (We get into this a lot more in my Strategy Group). So you can either choose to accept that the draw is random enough that trying to track any trend is pointless. Or you can attempt to track it knowing that you will never have enough data to prove it exists. And if you choose the latter you should probably only be doing it if you enjoy it and make that part of the ‘fun value’ of playing. One thing we can say for certain though is that there is no relationship between the numbers themselves. Drawing 35 doesn’t tell us anything useful about 3 or 5 for example. If we switched the game to use 49 differently coloured balls instead of numbers, you can see why. (There could be something to be said for a relationship between numbers due to their starting positions in the draw machine – but that’s a whole different can of worms). So what would I do, and why? I would likely include 35 in my pool of numbers to play in case some fleeting bias was showing itself. If 3 hadn’t been drawn for longer I might exclude it, but then I only gave you 3 weeks of results to play with, so based on that I wouldn’t give 3 any special treatment at all. Thanks again everyone for taking part in the Quiz so far. Don’t forget to answer Question 2 which is now live. I’ve also now opened the comments up below for further discussion on this (not for ‘late’ quiz answers). If there was no pattern towards the numbers drawn then why do they have 13 different machines and numerous ball sets? It is therefore obvious such is done to break up any patterns? That’s what I mean by not being able to build a perfect draw machine – to reduce the chances of any trend showing they add in extra ‘randomness’ by changing up machines and balls. When you go to your lottery website to view the number frequency you are really viewing a false bias because of the different ball sets and machines being used to skew the real biases in today’s lotteries. Remember when Vegas found out how 21 black jack players were winning consistently by counting the cards. The casinos begin using multiple card decks to thwart the card counters. It is obvious that tracking lottery numbers did help some players produce winning lottery tickets in the past. Otherwise, why would lotteries of today use multiple machines and ball sets to skew the biases? You should always use some kind of plan or system in anything you do; at least you’ll be ahead of the pack by using some method or methods. I still think there are some merits left in tracking lottery numbers. My motto is “never leave no stone unturned.” ‘Cause you never know where the jackpot numbers may lie. Hmm, I wouldn’t say it was obvious, Al :-). After all, there isn’t any actual evidence that tracking numbers ever helped anyone. But then it would be next to impossible to prove unless the bias was pretty large. Also, bear in mind we don’t know that they didn’t use multiple ball sets and machines in the past. Just that they tell us they do now. Not that they tell us when ball set ‘A’ is actually a whole new set of balls either. Or when they service/repair/replace machine either. It’s all part of the unknown that helps them make things that little bit ‘more random’. I try to be as logical as I’m able to be about the Lotteries, but I still sometimes fall back into irrational superstitious thoughts about it. The thing is, we live in times that aren’t really that far removed from the days when everybody believed in signs and omens. Even though we like to think of ourselves as more advanced, the number of people that have lucky rituals, lucky numbers, wish on falling stars, etc, is still huge (myself included sometimes). So, what I started doing was to use that irrationality to increase the random nature of how I buy my tickets. It won’t help, but another layer of ramdomisation can’t hurt either and gives, at least, a more rational edge to my stupid superstitious side. I can tell anyone who plays lotteries. No matter what state you’re in, the odds are the same. And the same numbers have the same chance of winning. I live In California. And since September 2011 I have won the Daily 4 Lottery game 3 times, twice from the same lottery retailers. so I guess location plays a key role as well. I guess players should find a lucky store that’s right for them, keep being persistant and Don’t Give up! Good Luck! Congrats on those wins Ricky, although I don’t recommend playing Pick 3 or 4 at all (here’s why). Just my 2 cents. Having a unique system and although the lotto is “suppose” to be random I get at least 2-3 numbers correct every time I play. The past two months (I’ll pick the mega as it’s easiest) I’ve hit the BB 7/8 times. So my answer would have been “if I played in the snow” all numbers ARE connected. Although 3 has the potential to follow 4 or it’s mirror or a combination of them, I would have said neither 3 nor 35. 35 has ran the course. But of course in lottery the duplicate game is always one that stumps everyone. 3 would be chosen due to 02/04 falling previously. There is something to be said about chronological order in all things even if that order falls randomly, at some point 03 is due to fall within the next 3 to five draws. There is something to be considered when working on just getting 3 to 5 numbers in a draw as opposed to all 6 since you can still win money this way as well, and if it’s compounded consistently then one may have a nice little wallet. Thanx for your forum take care. There’s no such thing as a number being ‘due’. That’s just something humans like to impose on the game as it’s makes us feel more in control. Either the game is perfectly random in which case 3 is exactly as likely as everything else every draw (i.e. the past is irrelevant). Or there is some form of mechanical bias making 3 more (or less) likely. Just like rolling a dice – a number that hasn’t been rolled for ages is not more likely to appear, there are still 6 sides to the dice. Hi, I am little confused, if half believe lottos are random and the other half believe they are not. It begs the question, what if certain patterns come up each and every year over most lotteries over the world, “would this be something other than random”? I did an exercise over the past 12 years, so I could either prove or disprove my theory. At this point I hear you groan (LOL), “Oh no! Not another deluded lotto nut”. So! what if? Appreciate your thoughts. You have to ask yourself why any pattern would exist across different games. For it to mean something there has to be a physical, logical reason for it. There’s nothing mystical about the actual numbers – they are irrelevant really. So did the games you looked at use the same model of draw machine for example? Is that machine flawed? Or is what you’re seeing really just one of those patterns that random makes sometimes. Yes they are random but as I found tracking back 2 years and using certain charts I can increase my chances 1000% of hitting any lottery prize. Had one number go absent for 6 months, #26 here in PA, finally got drawn on Jan 2015 now it’s more regular but still that number and two others have only 10 hits or less over 2 years time with 2 draws per week. So there are certain number groups I know that are running hot right now and I only play once per week using $50 either Mon or Thurs. Here in PA our Pick 6/49 has the best prizes, even just 4 numbers out of 6 can bring you hundreds if you play 20 plays and have those 4 numbers on each ticket wheeled. That’s $800 just on your hand picks, who knows what the free computer picks will bring. Yes here we pay $2 per game but we get 3 plays per game. So far I have won twice, $1000 for 5 numbers out of 6 and $400 for 4 numbers on 5 tickets all my hand picks! My answer to all of these and future questions: IF these lotteries are based on completely random picks there ARE no strategies, tips or inside track information that will help. As much as one might hope that therein lies the silver goblet, it simply does not exist. Any seemingly solid tip is purely random. If thinking about it did work, the same people would be winning over and over and over again and frankly they wouldn’t tell anyone how it was done. Do you know of anyone consistently winning? The question to answer becomes this, ‘are these games completely random?’ If they are not random, game over.